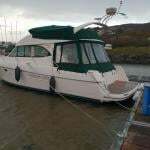 #kyc – The annual Kinsale Yacht Club Frostbite League began today (Sunday 19th Jan). The league was once again sponsored by ASM Marine. Competitors were blessed with glorious sunshine and with winds of between 5 and 10 Knots , conditions were described as ideal for the first day. The Race officials were headed by Bruce Matthews as Officer of the Day ably assisted by June Matthews, Siobhan Hopcraft-Keane, Liam O'Riordan, Mathilde Campbell and Sponsor Seamus McLaverty. Support on the water was provided by the Cruiser, White Sail and Dragon fleets. There were 20 entrants in total in the Laser Fleet, with 6 in the 4.7's, 4 in the Radials and 10 in Full Rig Lasers. 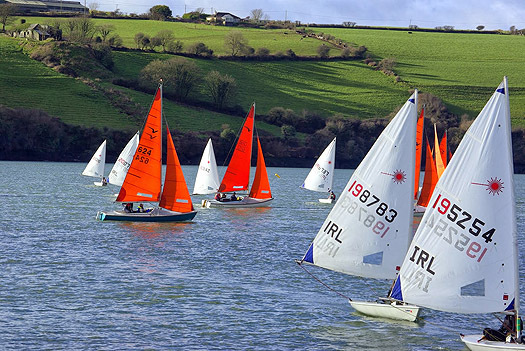 Kinsale Yacht Club was delighted to welcome competitors from neighbouring clubs: Inniscarra, Monkstown and The Royal Cork. After the completion of 3 races Billy Duane RCYC leads the 4.7's, Sorcha Ni Shuilleabhain KYC leads the Radials and Sean Murphy KYC takes the lead in the Laser Full Rig fleet. The Squib Class had 14 entrants all of whom came from the rapidly expanding Kinsale Yacht Club Squib Fleet. This class has gone from strength to strength in the last couple of years with Kinsale boats dominating the Squib Class nationally. 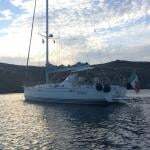 There was drama today in the Squib's second race when Sonata helmed by Ger Sheeran was struck by another Squib and the resultant impact on the shrouds resulted in Sonata being dismasted. Fortunately there were no injuries and both parties seemed to be in good spirits afterwards. At the end of the days racing Allegro with Colm Dunne and Rob Gill from KYC took the lead with 2 wins in the first and second races. However Lazarus with Colm Daly and Marcus Hutchinson took the bullet in the third race giving them a second overall.